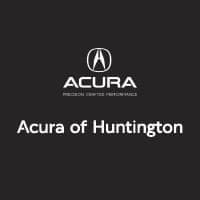 Between the departments here at Acura of Huntington, we have a wealth of knowledge to share with our customers. When it comes to financing and insurance-related terms, we hope you take full advantage of our expertise. If you’ve heard the term gap insurance and aren’t quite sure what it entails, we’re here to help. Gap (Guaranteed Auto Protection) insurance covers the difference between the actual value of your car and the balance you still owe on the loan should it become unrecoverable due to it being totaled or stolen. You might have heard of the phrase being “upside down” on your loan – this is essentially coverage for in the case that something happens to your vehicle when it’s in that state. In many cases, standard insurance will only cover what your car is worth, minus the deductible, and you’ll be left on the hook for the difference with your financial institution. If you put down a substantial down payment, gap insurance may not be necessary because you will have a lot of equity in the car and will have paid what it’s worth sooner. Due to depreciation, your vehicle is no longer worth what you paid for it as soon as you drive it off the lot. Gap insurance can be very useful should the worst-case scenario happen before you’ve had a chance to make many payments. Contact our NY Acura dealers today to learn more and if you should opt for gap insurance!